Fires are usually preventable, however as with most things there are certain situations which are simply impossible to control. According to the Center for Disease Control and Prevention, fires and burns are the fifth most common cause of unintentional injury and death in the United States. While human life and safety is obviously our biggest concern, it is important to remember that fires can cause devastating property damage as well. 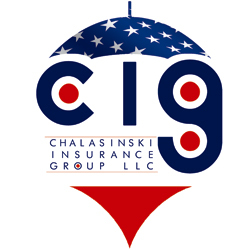 Chalasinski Insurance Group offers fire insurance that can help protect you and your loved ones from the overwhelming financial losses that come with fire damage. Call President Tom Chalasinski at 440-838-5383 to enroll in your fire insurance plan today. Smoke detectors also play a crucial role in fire prevention. It is required by law that all new and existing homes have smoke detectors installed. They can be purchased at any drug, hardware, or any larger home improvement store. It is recommended that there should be one on each level of your house but if you only have one, make sure to put it outside of the sleeping area. Smoke detectors should be vacuumed at least once a year to remove any dust or cobwebs, which will cut down on false alarms. The Cleveland Fire Department also recommends that batteries be changed twice a year. Most battery-powered smoke detectors will chirp sporadically when the battery is weak. If you would like to learn more about general fire safety, call the Cleveland Fire Department’s Public Education office at 216-664-6386 to schedule for a quick class. If you are searching for more specific information regarding fire safety or fire insurance, please call Tom Chalasinski with Chalasinski Insurance Group at 440-838-5383. By following these safety tips and enrolling in a fire insurance plan, you are acting proactively and putting yourself and your financial state in the safest possible position. Fires are extremely dangerous, but their damages can be significantly subdued with fire insurance. 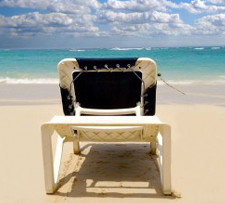 Contact us today and we will help you in any and every way we can.